HowMechanismWorks ? 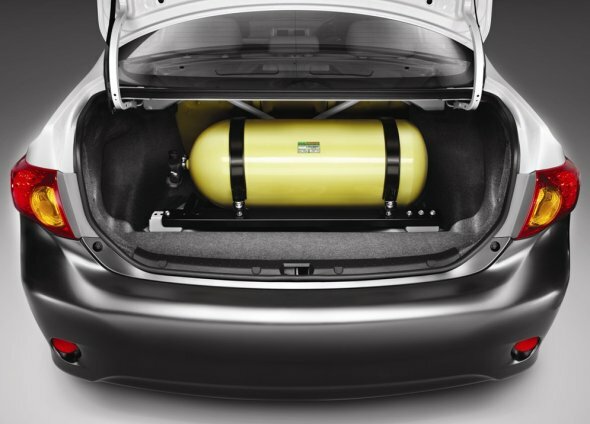 : How LPG Powered Cars Works ? How LPG Powered Cars Works ? LPG (Liquefied petroleum gas) is the largest using fuel at present is as domestic and industrial fuel.Also LPG as a car fuel is now in common use.LPG, also known as propane and autogas, is a by-product of crude oil extraction and the refining process.The main reasons for the increasing usage of LPG in cars have been a desire to reduce fuel costs, environmental considerations and a fundamental acceptance of LPG as a good alternative to petrol and diesel. How LPG Engines Works ? LPG can be quite easily used in a petrol engine as well. Because the working of an LPG engine is similar to that of a petrol engine. In the petrol engine, the car’s carburetor creates a mixture of petrol droplets and air which is then supplied to the inlet manifold of the car’s engine. A spark is then introduced, causing a controlled explosion which drives the engine. Similarly when an LPG connection is made and given an inlet at the carburetor, the vapours of LPG (instead of droplets of petrol) get mixed with air and are then led into the combustion chamber, where the ignition process takes place as in the petrol version which drives the engine. Thus, a petrol engine can easily be ported to LPG as the combustion process is totally the same. LPG tends to pull down a vehicle’s performance by a small percentage, but not enough really to notice the difference under normal driving conditions. You may tell of this is if you are driving the fast, under heavy load or requiring high performance. Very few people should drive under those conditions, so the clipping of performance will not even be noticed. Typically, people who convert from petrol to LPG are ones with vehicles with larger engines, and more so to help curve fuel cost. A larger engine will be even less noticeable with the performance end because they already out perform smaller engines. What is for certain is that LPG burns cleaner than petrol and therefore emissions of particulates is very low. Moreover, LPG is non-toxic, non-corrosive and free of tetra-ethyl lead and additives. In terms of fuel costs, LPG costs a little more than half the price of petrol or diesel, but fuel economy is about 20-25% lower. Therefore you can get much more bang for your buck or in vehicle parlance, more miles per gallon. Due to higher octane rating, the combustion of LPG is smoother and knocking is eliminated and the engine runs smoothly. When LPG leaks past the rings into the crankcase, it does not wash oil from cylinder walls and does not generate black carbon. Hence, the lubricating layer is not washed away. Thereby, the engine life is increased by 50%. Due to the absence of carbon deposits on the electrodes of the spark plugs, the life of the spark plugs is increased. An LPG engine will heat up faster due to the cylinder head temperature, even with a cold engine. Petrol engines take a while to warm up, so this is a good thing for engines. LPG reduces the volumetric efficiency due to its high heat of vaporization. Handling has to be done under pressure of about 18 bars. Its characteristics odor is faint, so leakage cannot be easily detected. Response to blending is feeble.